Last week I illustrated a retro housewife with a baked cake. 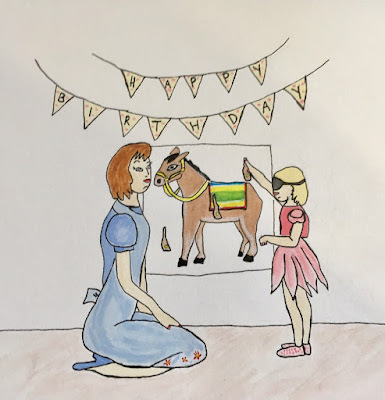 This week the theme continues with a children's birthday party that are generally held on the weekend, this one includes the game Pin the Tail on the Donkey. I used to love birthday parties when my son was little. I would spend a month or more planning the party with a theme chosen by the both of us. We would have Pin the Tail on the ??? 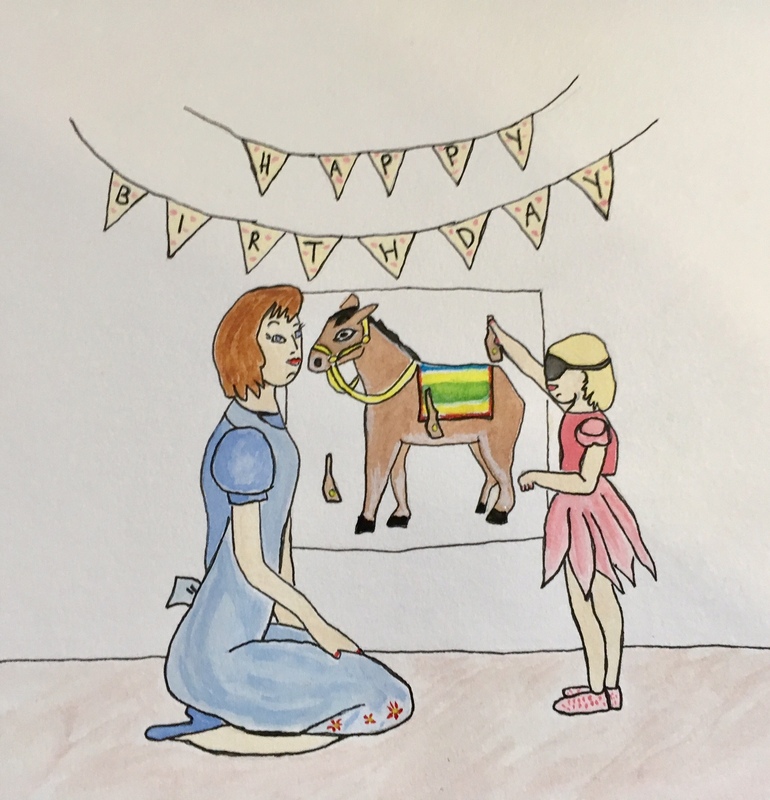 (donkey, puss-in-boots, Pilchard, sail on the pirate ship etc.) I'd make up games or craft based on the theme. We would decorate the house based on the theme and have theme appropriate food. I would cook the cake then supervise my husband who always wanted to decorate the cake. It was sooo much fun.